Feline idiopathic cystitis (FIC) is a diagnosis of exclusion. This means that all other possible causes of the urinary bladder disorder must be excluded before the diagnosis of FIC can be made. The term “idiopathic” means that the cause of the disease is unknown, while the term “cystitis” means inflammation of the urinary bladder. Other names that may be used to describe FIC include interstitial cystitis and sterile cystitis, but FIC is more descriptive and correct. The older term “feline urologic syndrome” (FUS) and the newer “feline lower urinary tract disease” (FLUTD) are umbrella terms used to describe a constellation of feline urinary tract disorders, including FIC. Clinical signs of FIC include hematuria (blood in the urine which may be seen grossly or only microscopically), stranguria (straining to urinate), dysuria (difficult urination), pollakiuria (urinating small amounts often), and periuria (a newly coined word for urinating in “inappropriate” places; that is, anywhere but in the litter box!). “Inappropriate urination” is another term used to describe periuria. It is important to note that although the behavior is inappropriate to cat caretakers, it is not inappropriate behavior for the cat. This is because cats with FIC have very valid reasons for choosing not to use their litter box. These reasons will be discussed later. Sometimes it is difficult to discern whether a cat is straining to urinate or defecate. In either case, evaluation by a veterinarian is indicated, as both situations can signal serious and even life-threatening disease. The cause of FIC is not known; however, there are some hypotheses about its origin. Interestingly, women also suffer from a similar syndrome called interstitial cystitis. Similar pathologic changes, such as pinpoint hemorrhages within the lining of the bladder, are seen in both women and cats. Although the bladder lining is inflamed, paradoxically the true cause of FIC is thought not to originate in the bladder but rather in the central nervous system. Cats with FIC have been shown to have an exaggerated stress response due to imbalances in their nervous and endocrine (neuroendocrine) systems. It is thought that this exaggerated stress response is responsible for the changes seen in the bladder, and thus, the clinical signs associated with bladder pathology. In essence, the bladder acts as an “innocent bystander” of systemic neuroendocrine imbalances. As the bladder wall becomes “leaky” due to inflammation, urine can permeate the deeper layers. The inflammation increases the sensitivity of the pain response, causing urination to become excruciating. Cats associate the litter box with the pain they feel when attempting to urinate, and hence, seek alternative locations to relieve themselves. This is why once clinical signs of FIC have resolved creative thinking may be required to get the cat back to using the litter box. It is important not to be misled into thinking that a urinary tract infection (UTI) is responsible for the clinical signs. UTIs are extremely rare in cats younger than 10 years old, unlike dogs. Only 1-3% of young to middle age cats are diagnosed with a UTI. This helps to explain why antibiotics do not help resolve the problem. Sometimes, though, antibiotics appear to help, but this is only coincidental, as the clinical signs of FIC often subside on their own in four to seven days, regardless of treatment initiatives. Unfortunately, clinical signs of FIC recur within 6-12 months in about 50% of cats. Another misconception is that crystals found in the urine of cats with FIC are responsible for clinical signs. Crystals are normally found in feline urine, particularly when it is highly concentrated. Crystals also form readily in refrigerated urine, and urine is often refrigerated before studied by the laboratory. Crystals are seen in the urine of healthy cats, as well as those with FIC, and do not play a role in the development of FIC. However, extremely large quantities of crystals may become precipitates in the urine that can contribute to urethral plugs, which can cause life threatening urinary obstruction. Inability to urinate is a medical emergency, and should prompt one to seek veterinary care rapidly if noted. What needs to be determined is what caused the initial stress in the cat. It has been demonstrated that either eliminating or at least reducing stress can resolve clinical signs of FIC. Understanding the nature of felines will help in finding ways to reduce stress, and seeing the home environment from the cat’s viewpoint is essential. Cats are creatures of habit and like routine. Therefore, any disruption in daily routine can cause a stress response. Potential “stressors” in a cat’s life include moving, whether it’s across country, or simply a move of furniture in the current home. Additions or subtractions in the household population of people or companion animals are also major sources of feline stress. Even a stray cat outside a window can make a cat anxious. A change in a caretaker’s schedule or stress in the caretaker’s life can also put a cat on edge. 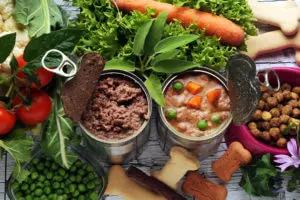 In multi-pet households, there should be plenty of resources for each and every animal; these include food and water bowls, toys, resting spots and, of course, litter boxes. Any change in the box style, litter or location can make a cat seek alternative areas in which to eliminate. 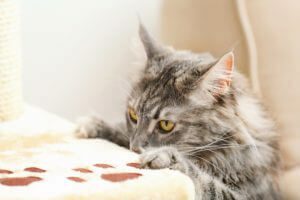 Even though it may be hard to stay calm and controlled when the household feline is eliminating outside the litter box, yelling at the cat or attempting any form of punishment will only serve to increase stress and lead to an exacerbation of the problem. Cats are not spiteful and do not hold grudges. They do not eliminate outside the litter box to “get even” with their caretakers. They have chosen alternative toilets because their bladders hurt and they associate the litter box with pain. Since the cause of FIC is not well understood, it probably comes as no surprise that there are no easy solutions to resolving the clinical signs of FIC. A multimodal approach has proven to be most effective, and is described below. It is important to remember that all changes must be introduced very slowly, or the mere act of change will cause additional stress. A resource section at the end of this document provides suggestions for further reading and contact information for many of the services and products mentioned in this section. Increasing water consumption dilutes urine and the noxious substances found in it. It also causes increased urination which decreases contact time of urine with the bladder wall. Because cats evolved as desert creatures, inventive thinking is needed to encourage a cat to ingest more liquids. The easiest way to increase water consumption is to feed canned food exclusively. In fact, feeding canned food exclusively is one of the most important steps in managing FIC. It is assumed that the increased moisture content of canned food is responsible for the improvement of clinical signs. However, it has been hypothesized that the canned food may feel more natural in the cat’s mouth, or the owner may interact more positively with the cat when feeding canned food, thus making the cat feel more relaxed and less stressed. Another way to increase water consumption is to purchase an electric pet drinking fountain. Many cats enjoy drinking running water and will naturally drink more when the water is constantly flowing. Flavoring plain water with tuna “juice,” the water that is used to pack canned tuna fish, or low-sodium bouillon may entice a cat to drink more. Tuna “juice” or low-sodium bouillon can also be used to make ice cubes which can be dropped in water bowls. Also be sure that water bowls are always clean, and that the bowls are wide and shallow since cats don’t like to have their whiskers touch the sides of the bowl when drinking. Distilled or bottled water may be better accepted, as cats dislike chlorine, a common additive in city water. Other dietary management techniques involve the use of prescription diets containing “stress management” nutrients such as L-tryptophan and/or hydrolyzed milk caseins, which reduce the central nervous system stress response. Supplementation with these additives in the diet have been shown to be effective as part of a multi-modal approach to both reducing stress and reducing symptoms of FIC. Recall, this “FIC” condition is more of a central nervous system stress problem, despite the predominant bladder symptoms. Thus, a growing body of evidence is suggesting that therapies directed at reducing stress are an important component of FIC management. 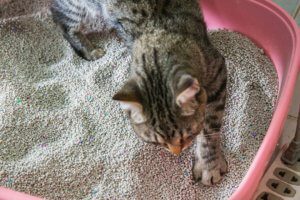 Litter box management is another important consideration when managing FIC. As mentioned, a cat with FIC often associates pain with the litter box, so creative thinking is often required to lure the cat back to using the box consistently. Most cats prefer fine-grain, clumping litter. The best way to identify a cat’s preference for litter is to provide a variety of litters and litter box types and let the cat decide which one is best. A litter box “cafeteria” can be set up by providing several litter boxes, each filled with a different type of litter. While cat litter manufacturers add perfumes to litter for human noses, all cats dislike scented litters, so only unscented litter should be used. If the litter packaging does not indicate it is “unscented,” assume it is scented, so read closely! The 1+1 rule must be obeyed in all cat households. This means there must be one litter box for each cat plus one more. For example, if there are two cats in the household, there should be at least three litter boxes. Boxes must be strategically placed around the home, and there should be at least one box on each floor of a multi-story home. Boxes should be in a private and quiet area, but not located in an obscure location. For instance, boxes should not be located near a major appliance, such as a washer, dryer, or furnace, that intermittently turns on, which can startle a cat. While people may prefer keeping all litter boxes in the basement, cats may not enjoy having to travel great distances each time they need to relieve themselves. Boxes should be scooped at least twice daily, and the entire box should be emptied, washed, and litter replaced at least every two to three weeks. While this may seem excessive, consider that most people wouldn’t consider using an un-flushed toilet! Use hot water and a mild unscented dishwashing detergent when cleaning litter boxes. Do not use harsh chemicals such as bleach, ammonia or scented antibacterial cleaners. The best boxes are basic large plastic boxes. Boxes should be large enough for a cat to move around in completely. The sides should not be too high, especially for older cats that may have arthritis. While hooded litter boxes are preferred by people because they help contain litter scatter and reduce odor, hooded litter boxes may not be pleasurable for cats. The odor contained in the box can be overwhelming for a cat’s keen sense of smell. In addition, a more aggressive cat may ambush another cat while using a hooded litter box and the attacked cat will be trapped because there is only one entrance to the box. Such an event would lead to fear of entering the litter box and will force the ambushed cat to seek alternative places to eliminate. Electric litter boxes are convenient for people and can improve litter box hygiene. However, sometimes these high-tech boxes turn on while a cat is in the box. If this occurs, the cat will be startled and may never enter the box again. The mnemonic MEMO (multimodal environmental modification), has been coined, and implies that a multi-pronged approach should be taken to make an indoor environment more stimulating for cats. There are a myriad of ways to make indoor life interesting for cats, some of which are listed below. Remember, it is not necessary to spend a lot of money since simple things, such as a large empty cardboard box or paper bag (with its handles removed), will be used with the same enthusiasm as a $500 cat tree! Even if living quarters are small, space can be expanded vertically by purchasing or building cat trees or mounting a high shelf and providing access via a wooden ladder. Cats enjoy surveying their environment from high places, so resting areas that allow cats to have a bird’s eye view of the home will certainly reduce stress. Provide appropriate scratching surfaces so that cats can stretch their muscles and engage in natural cat activity. Some cats prefer to scratch horizontal surfaces, while others prefer vertical surfaces. Therefore, provide both, and experiment with textures (i.e. sisal and carpet-covered vertical scratching posts, cardboard horizontal scratchers, etc.). Engage in interactive play at least two times daily. Wand or “fishing-pole” style toys make great interactive toys. Interactive toys must always be used under supervision since ingestion of string or small objects can lead to intestinal obstruction. Laser toys are not recommended, as they can lead to frustration because cats are never able to “capture” the light. In addition, ophthalmologists have expressed concern over inadvertent damage to the retina caused by the laser beam. When cats are home alone, be sure there are plenty of toys that encourage solo play. Toys should mimic prey and engage all of a cat’s natural hunting skills, such as stalking, pouncing and capturing. Rotate toys often, so cats do not get bored. Cat videos are available commercially, and some cats are captivated by them. Most videos feature bugs, birds, small mammals and natural sounds that will capture the attention of cats. Hanging a bird feeder outside of a cat’s favorite window or purchasing a fish aquarium (with a secure lid, of course) can keep cats occupied for hours. Increase access to the out-of-doors in a safe way. A screened-in porch or enclosure built especially for cats will allow them to experience the great outdoors without its inherent dangers. Some cats can be taught to tolerate wearing a harness and walking on a lead. This is a very simple and inexpensive way to allow cats enjoy time outdoors. However, some indoor cats are frightened when outdoors so forcing them to go outside the confines of their home will lead to more stress. Cats should always be supervised while outdoors, even if in a secure enclosure. Outdoor access means that the cat will be exposed to parasites, so appropriate treatment for fleas, ticks and heartworms must be provided. There is a common misconception that cats cannot be trained. Cats can be taught to do many things, but understanding what motivates a cat to act is essential to ensure success. Training can be fun for both cat and caretaker. It is important to remove all urine odors from locations where the cat has urinated, or the cat will continue to return to the soiled area to urinate. This should be done with unscented enzymatic cleaners that do no not contain harsh chemicals. Idiopathic cystitis is a painful condition, and pain management must be considered. Unfortunately, there are few effective pain medications that can be safely used with cats because of the unique feline metabolism. Opioids, in particular buprenorphine, can be used for short-term management of pain and appear to be very well tolerated in cats. Non-steroidal anti-inflammatory medications (NSAIDs) must be used with caution and have not been shown to be effective in women with cystitis. Never give any over-the-counter medication to a cat without first consulting a veterinarian, as many human medications can be lethal to cats. Pheromones are fatty acids secreted by animals that transmit highly specific information to members of the same species, serving to alter the emotional state. Cats secrete pheromones and deposit them on people and objects when they feel calm and secure. A version of a feline facial pheromone has been produced synthetically and is commercially available as a spray and a room diffuser (Feliway®). Some cats have anecdotally been reported to respond positively to the use of pheromones, but data specifically for FIC is limited. The spray can be used in the area where a cat has urinated, while the diffuser can be used in any room or in a travel carrier to help calm the cat. Behavioral modification drugs are not the answer to solving stress-related diseases, such as FIC, in cats. However, certain medications may be prescribed in severe cases after all other genuine attempts at dietary and behavioral modification have failed, or sometimes, in conjunction with them. Behavior-modifying medications will fail if not combined with other environmental and dietary changes. Response to behavior modifying medications is not consistent, and long-term safety data for cats is still limited. Natural substances that can safely be used to alter mood include catnip, honeysuckle and valerian root. Catnip is a member of the mint family, and contains an essential oil called nepetalactone that causes a physiological reaction in about 85% of all cats over the age of six months. Common behaviors induced by affected cats include rolling, gazing, running around acting very silly, “bunny-kicking” or extreme relaxation. Occasionally, cats may become aggressive, and if this happens, catnip should be not given. Other therapies have been tried based on sound theory, but still have little data to prove efficacy. Some of these include fatty acid supplementation and administration of nutraceuticals such as glycosaminoglycans and chondroitin. In certain situations, professional assistance may be required. 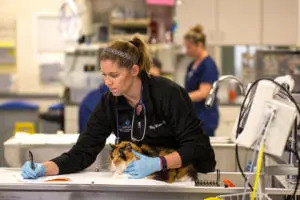 Board-certified veterinary behaviorists are veterinarians who have completed rigorous advanced training in animal behavior and are very familiar with both the medical and behavioral aspects of FIC. Certified applied animal behaviorists are not required to be veterinarians but have completed graduate training in animal behavior. Bohnenkamp G. From the Cat’s Point of View. Perfect Paws, Inc, 1991. Ribarich C, Delzio S, Felinestein: Pampering the Genius in Your Cat. Collins, 1999.